Yep, Premier 25" and 28" hand tuned fiberglass concert timpani, and very nice they are too. I used the Peart method and put the 18" on 2 L arms through the leg mounts, makes a lovely baby gong drum, and is like a cannon. Can't wait to see the pro-pics! Thanks Matt - it's being shot in the studio now (Big Rock Show Kit Low boy ICON-IC rack setup). Nice Al! The finish really pops! Sound shields for the cymbals. A slightly more tasteful approach than the full ice cube of plexiglass. He does not reside in the U.S., I've sent him info so it can be looked into. If you have (for sure) a 1995 Pearl export, the spurs would be model SP20/2 (1 pair-pack). Mike Foreman replied to a thread My New Jams space/ Basement in Show Us Your Kits! Like this. 14 left 16 & 18 right. scaryguy replied to a thread My New Jams space/ Basement in Show Us Your Kits! He is busy on the road with ACCEPT, in fact, he is heading to your part of the world May 18th and 19th. Catch them if you can! You're right on time, Lamikins. Make yourself a drink, baby. Hey again, Matt. You weren't looking for multiple P-85ACs, were you? I recall a forum member saying they wanted to replace all of their throw offs with it. I've come across another seller so if you're looking for a second one let me know. I sent him your email yesterday morning. Hope y'all can work something out! The octobans can't tune as high as my concert toms. 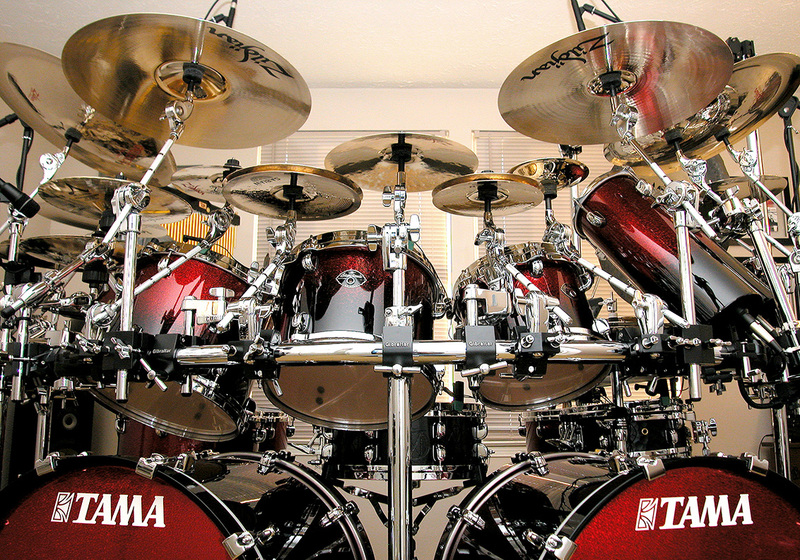 I want 4 drums to all play higher than an 8x6.5 rack tom... that's hard to achieve. Yeah, I love that finish, and the heads were stunning. The sparkle burst is not too different, google it. I still haven't seen it with my eyes though. Thanks! Glad to be here. Thanks for accepting my friend request, you look like you've been around the block a few times, have good taste, and good drumming advice. Cheers! I have been playing Pearl for a long time, starting with an Export that is still in the garage. I beat that thing up mercilessly and it is still rocking. This MCX is blowing me away now. I want to throw some Aquarian Texture Coated single-ply's on the toms and a 20" Superkick I on the bass and go to town. I am amazed at the sound even with clear ambassadors on the tops, a bit too high pitched for my taste, I like warm coated heads, but the shells rock! Stoked! New video coming soon... Erotomania from Dream Theater. Plus, I am going to make a few videos for the Pearl Project 108... we'll see how that goes? Hey Matt, quick question about the Tama cymbal mates. Do they tighten on the threads like the Vater slick nuts? The pearl wing locs are nice but at $12 a piece, I'll stick with my wing nuts. I need 11 of them. I don't move the cymbals, i just like the look. MF has the tama's for $5 a piece. I use a Vater on my x hats, but it's too bulky for all my cymbals. My e mail address had to be changed because hackers got in the old one and locked me out. All of the bad stuff in the old e mail is contained; but I can't get in and it can't hurt my computer. Drumming is a very important part of my life. I spend a lot of time researching, refining and developing my playing and equipment. 1, 2, 3, Hit It! All times are GMT -6. The time now is 12:27 AM. Pearl Corporation 2018 - The Pearl Drummers Forum is an extension of the Pearl US website. Some products discussed here may not be available outside the USA.